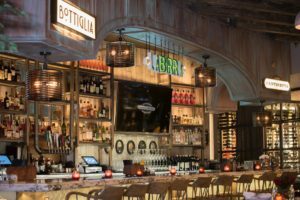 Mercato della Pescheria is an authentic Italian Restaurant at The Venetian, in St. Mark’s Square, just a few steps away from the Sands Expo and Convention Center in Las Vegas. Our authentic Italian restaurant and beautiful events spaces are perfect for Group Dining (Parties 16+), Corporate Meetings, Weddings, & Social Events such as a special birthday, rehearsal dinners or Bachelor/ette Parties. Our capacity includes private dining areas for intimate private meals, and dining rooms for up to 400 in banquet style or 800 / 1100 in reception style. We have a beautiful space to host any special dining event. 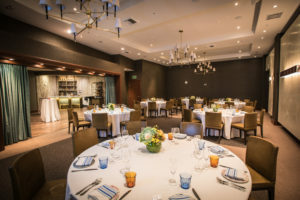 The perfect group dining event might begin with drinks and Italian appetizers on our large outdoor patio, or a social gathering in the bar area seated at tables, or perhaps casual drinks in our cushy lounge. Mercato della Pescheria serves authentic Italian Restaurant meals market-style, so you can smell the freshest seafood, see our choicest meats, and handmade pastas prepared with fresh natural herbs, and authentic Italian cheeses. Our Italian desserts are legendary. We will serve you and your guests with attentiveness and Italian charm in our beautifully-decorated dining spaces. 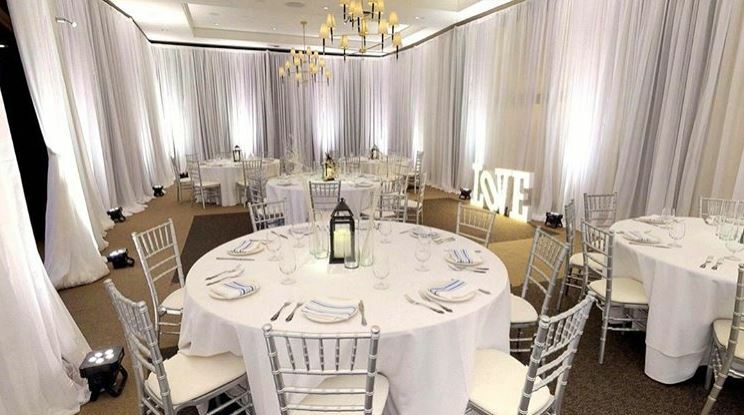 Our special events packages include options for Breakfast, Lunch, Dinner and Cocktail Receptions. Buyouts are available upon requests (minimum number of guests required).